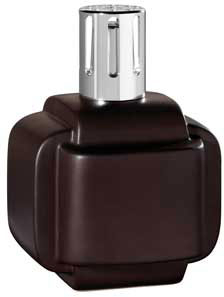 The Entrelacée Chocolate lamp is an fine addition to the Lampe Berger line. It has in a square form with interlocking bands. It is shipped in a nice gift box with a basic burner, instructions, and funnel.